Updated to answer questions from participants. This challenge starts now and runs through December 31, 2010. Don't know where to start? Scandinavian authors are hot right now (even if the temperatures might be chilly). Stieg Larsson, Per Petterson, Dag Solstad, Hakan Nasser, Henning Mankell, Linda Olsson, Arnaldur Indridason and Knut Hamsun all have great books to get you started. Email me for titles if you get stumped. Once a month I'll throw out some titles and some interesting trivia. EDITED TO ADD: You can count books that you were already reading as of March 1, 2010 and any books started since then that fit the criteria of Scandinavian fiction Please make sure your name is on leftside bar of particpants. Email me with your titles as you complete them. I'll keep a file of participants and titles read and if anyone wants to have a discussion or share thoughts on a title, let me know. Count me in... 6 books is a great number. Enough to give me a good introduction to the region but not enough to be a burden. Any suggestions of a few good books to start with? Any popular titles which I might be able to find at the local library? I am a quarter Dane - my grandmother was born in Denmark. Please consider my debut novel, Back to the Homeplace. If you'd like to do a review on your blog, with over 75-100 followers, request a review copy. Hope you buy one, of course. Donate to your library, perhaps. Thanks for reading! Dr. Bill! So are you in??? Say yes! Nicole, you are sooo sweet! Okay, my personal favorites are the first Stieg Larsson, but not the second. Knut Hamsun has Hunger which is a mind game sort of thing (very good). Growth of the Soil by Hamsun is one of my fave of all time but a long read. For you I'd suggest Astrid & Veronika by Linda Olsson, takes place in NZ and Sweden. I'll email you with more!!! Thanks! My comment disappeared, I think. If this is a repeat, I will delete it later. Count me in!! Do previous reads count? I still will read six (most likely more). Thanks!! I love herring. I am Polish and it is one of our favorites too. I love this idea. Sign me up, I'll leave a link as soon as I get a post up. I'm participating...my post about the challenge is here on my blog. What a coincidence that I found a link to this challenge this morning. Last night I began a list of European authors that I want to read and most were Scandinavian. Count me in for the challenge. I am aiming for the 6 book goal. My email address is vseverin62@gmail.com. I'd recommend Karin Alvtegen (Shadow or Missing); Camilla Lackberg (The Ice Princess); Stieg Larsson (Girl with Dragon Tattoo); Asa Larsson (Sun Storm); Helene Tursten (Detective Inspector Huss) or Johan Theorin (Echoes From the Dead) for Sweden. Denmark: The Serbian Dane by Lief Davidsen. Iceland: Yrsa Sigurdadottir or Arnaldur Indridason. And Norway: Jo Nesbo or Gunnar Staalesen. I often review Scandinavian (and other) crime fiction for Eurocrime.co.uk and there is a great database of books from the region (sortable by region) there. I know more of course, but so hard to know which ones have been translated. Perhaps these can help? finally got back to the computer after long weekend...here's link to my post about the challenge. I'm so excited about it! Amy, nice challenge. I`m in to read 6 Scandinavian writers before December 31. I already have in my TBR pile: Asa Larsson, Arnaldur Indridason and Jo Nesbo, so it won't be that difficult to choose another 3. I've just posted about the challenge on Euro Crime blog. I've already read more than 6 this year but hope to read another 6 by the end of the year :). Count this American of German ancestry into the challenge. Great idea! I've loved Scandinavian crime novels ever since I read Sjöwall and Wahlöö in the 70s. I'll participate at the 4 book level. I'm in! Does it have to start now? Because I have read The Girl with the Dragon Tattoo and Jo Nesbo's The Redbreast in the last month? I would like to participate. I'm a huge fan of Scandinavian crime fiction. and whatever I else I can pull off of my shelves! OK I will try again as my comment got eaten, I'm in for 6. Please would you sign me up - I've read quite a few Scandinavian novels over the past couple of years so I think I can manage six. This American of German descent will participate. I'm currently obsessed with Scandinavian crime fiction, having read 17 since Jan 2010, so will have no problem finishing 6 more! Sign me up! I would like to join the challenge - do books I have recently read and reviewed count? Especially if I loved them?? In 2010, I've read, "The Locked Room," by Sjowall and Wahloo; "The Demon from Dakar," by Kjell Eriksson and just finished, "The Man from Beijing," by Henning Mankell. Are we counting these or a brand-new six titles? Kathy D, I don't have your email but thanks for the titles you've offered. I've updated the latest post to show we are counting books that were started after March 1, or at least were in progress by that date. That's ten months for six books, easily realistic for most of us! Okay, so I do count "The Man From Beijing." I just finished that last week, and I'll have to figure out when I read "The Demon of Dakar." This should be a snap for us, especially since Scandinavian crime fiction is so abundant and in the news. I actually needed a break from it. I am delighted to join this group. I have been reading my way through Scandinavia for a few years. I finished Death Angels by Ake Edwardson in early March and last night finished Devil's Star by Jo Nesbo. I am now a big fan of Harry Hole! Add me to the list. I love Scandinavian books. My favorites are Jo Nesbo, Yrsa Sigurdardottir, and Arnaldur Indridason. I'm looking forward to trying some of the other participants favorites. I love Indridasson, am still waiting for Hypothermia and I like Sigurdardottir. I have yet to try Nesbo but plan on reading, "The Redbreast" first as others suggest. Are we allowed to write about other authors or just stick to those from the northern regions? 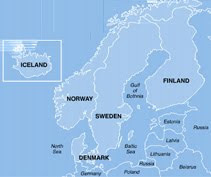 Anything from Sweden, Norway, Denmark, Iceland, Finland, Faroe Islands and Greenland can be counted. Please send me your email when you get time! I've read so many Scandinavian mysteries already, I am going to have to scour the library for more. Must check out Faroe Islands- I don't remember reading anything from there. I'm in for 6! How can I send you my email address? Would love to know the 17 Scandinavian books read by the reader on April 7's post. I highly recommend Kjell Eriksson's books, especially "The Princess of Burundi" and "The Demon of Dakar." A friend loved "Out Stealing Horses." I'd love to join the challenge!I thought I'd already done so, but my comment doesn't seem to be appearing. I would also love a badge for my blog, so I can promote this fab challenge. You might notice that rhuna is an Old Norse word, meaning 'mystery' which is why I chose it as my email address! The book I am starting with is The Library of Shadows by Mikkel Birkegaard, a Danish thriller writer. Thank you for creating this fantastic challenge! I've come on this a bit late, but I'm in. I'm just about finished the 2010 Global Reading Challenge started by Danish book blogger Dorte at DJ's Krimiblog - but I'd avoided using Scandinavian crime fiction for that because I read a fair bit last year as research for a large feature on Swedish crime writing (Good Reading magazine). Count me in, too. I'm going to focus on mysteries, starting with Maj Sjöwall and Per Wahlöö's first Martin Beck book, Roseanna, and ending with Stieg Larsson as I still haven't read "The Girl." Hi! What a great idea for a challenge. A couple of these authors were on my Summer 2010 Goodreads Seasonal Challenge anyway, so even though I'm late, I'm in! Hi, I've tried to register for this challenge before, but do not seem to have succeeded. So here I try again. I have just finished Woman with Birthmark by Håkan Nesser - very good. Since March I have also read two books by Arnaldur Indridason - The Draining Lake and Silence of the Grave. Plus The Ice Princess by Camilla Läckberg and The Man from Beijing by Henning Mankell. All very good reads. Currently I am reading Nemesis by Jo Nesbø. I just found your blog through A Novel Source blog and after looking around I found this challenge. I think I'd like to sign up -- though a bit late. I think I should be able to do it though. I will probably need some suggestions. Just read "The Black Path" by Asa Larsson. It's well-written, but extremely heavy and it gets brutal. The main characters are great, and Larsson must be a cat lover, too, as she understands that. It's time for a comedy or other light fiction between Scandinavians until I forge on to the next one. Even a financial thriller will do. Just finished "Unseen" by Mari Jungstedt. This book started slow, but really picked up mid-way. It was focused on police (and journalist) precedures at the start, but as the story developed, the author inserted pieces from the perspective of the killer, and this added tension (as well as creepiness). I will definitely be reading more of this series that takes place on Gotland, an island off the coast of Sweden. I personally can't stand being in the mind or mindset of a serial killer, or really any sadistic psychopath. I like the objectivity of a detective figuring out the suspect. Or another primary character. New York Times of June 16 had a front-page article on the popularity of Larsson's Millenium trilogy, that bookstores are happy about this. Readers who finished all three are asking what to read next. The article ponders who will be the next Scandinavian sensation? Jo Nesbo, Karin Fossum, Yrsa Siggurdadottir and Kjell Eriksson. And Henning Mankell, of course. Who do bloggers think about this? Is there one author or two who stand out who could follow Larsson's popularity? Just to say that I can't read a word of this nice blog, haven't been able to since the color changed. It's very hard to read black on dark brown. Mankell was big in the UK long before Larsson's trilogy appeared. On TV there are two Wallander series, a British one starring Kenneth Branagh, and the Swedish series. I have only watched one of the Swedish series but it was excellent, though they have added or upgraded the roles of some minor characters. Kathy, is this any better? I lighten the background and made the text darker. Roddy, I've seen the Wallander with Branagh, and thought he did a good job. Uriah was talking about the Swedish one and it sounds great as well. It's a bit easier to read, but still causing eye strain. The brown is dark. Maybe it could be a bit more towards tan? Thanks for asking though. I do check in here every day, and I have to keep up with the reading challenge, though I had to take a break. A friend just loaned me, "The Girl who Kicked the Hornet's Nest," which I have to hide (like chocolate cake) so I can get some things done which I have to do. I'm currently reading Stieg Larsson's third book and so far, it's excellent. I thought hands down that Indridason's "Hypothermia," would win the Dagger, but now I'm not so sure of that. This is quite good. Loved "The Girl Who Kicked the Hornet's Nest," and all of the terrific, smart, capable women characters. No wonder women are reading it. Just finished "Punishment," apa "What is Mine," by Ann Holt. The is the first in the Stubo and Vik series set in Norway. Stubo is a policeman who has recently lost both his wife and daughter, and Vik is a female lecturer on criminology who has a mentally handicapped daughter. Stubo courts Vik, first professionally to help with a series of abductions and murders of children, and then personally. The developing relationship between the two is touchingly mature and characteristically (for Scandinavian literature) reserved, and it forms the backdrop for the search for the abductor and murderer of the children. Another plot line takes us, through Vik's research, back to a mid-20th century abduction and murder of a child as Vik questions and investigates the way justice was served at that time. Throughout, I wondered how these threads would come together. Holt did a terrific job of making this happen -- it appears that that the six degrees of separation we talk about in the US may be diminished by several degrees in Norway. Holt left me wanted to read more about both the personal and professional collaboration between Stubo and Vik. Read Hakan Nesser's "Women with Birthmark," which was interesting, unique. A few disappointments which I don't say as they'd be spoilers, the worst thing to reveal. But he is an author whom I will revisit. 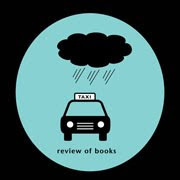 Now to read "The Ice Princess," by Camilla Lackberg, despite NYTBR mystery reviewer par excellence Marilyn Stasio's skewering of it. Had to put down "Ice Princess," which just didn't grab me and it's going back to the library unread. Was so glad to pick up Indridason's "Hypothermia," great writing. Ah, for good writing and a good story; my dream. "Hypothermia" by Indridason is such a relief to pick up, such good writing. He must transcend the genre. "Hypothermia" is very good, quite understanding of human emotions, and very sad. Suggest you read humor or something light before going on to another sad, but good Nordic noir. Or just a good thriller, fast-paced and riveting. Well, "The Darkest Room," by Johan Theorin won the International Dagger award. Does anyone have comments? Second in the Anders Knutas series set on Gotland, an island off of Sweden. Jungstedt gives just enough background that you'd be OK coming to the series at this point, but knowing the backstory adds to the book. An alcoholic photographer is killed after winning at the race track, a young girl who works with horses falls into the wrong hands, and there is a lot of misdirection and lack of direction as Knutas and his team try to unravel the crimes. Very strong characterization, great sense of location, and a gripping story line make this series one to keep reading. @Kathy D: I loved The Darkest Room -- probably one of the best Scandinavian crime fiction novels I read all year. IMHO (and it is humble), it deserved to win. The other books were all wonderful as well (although maybe I wasn't thrilled so much with Girl Who Kicked the Hornet's Nest), but Theorin was definitely excellent. I'm still waiting for "The Darkest Room," from our library. I did read TGWKTHN and liked it a lot, especially the several strong women characters and the validation of Salander; however, I didn't promote its winning the Dagger. I had read the superb "Hypothermia," and thought it would win. "August Heat" is a fun read but a Dagger? I don't know. Maybe the nomination was to recognize Camilleri's excellent Montalbano series, which is fun. Just saw the Swedish film of "The Girl with the Dragon Tattoo." It is an excellent rendition of the book, although very brutal. The cast is very good. It is hard to believe that anyone could play Lizbeth Salander than does Noomi Rapace, who is superb. Just read "The Darkest Room," and I may be in the distinct minority but I think "Hypothermia" should have won the Dagger. I'm just not a "ghost story" kind of reader. Reality is fine as are contemporary stories. Any opinions? Heard about your idea to have an Eastern Europe Book Challenge. Now that is interesting and daunting. Are there many mysteries set there? It would be educational. I'm trying to figure out if "The Woman from Bratislava" is set in Eastern Europe sufficiently to count or if is considered Danish or as both. To lazy to read all the comments But not to lazy to read Sigrid Undsets' Kritians Lavransdatter (sp?) many many moons ago. Fabulous and highly recommend it. There is also The Bridal Wreath and another title I can't remember.